1:00PM CLUB LIBERTAD - ALMUERZO DE PRESENTACION DE LA REINA DEL CONCURSO NACIONAL DE MARINERA. 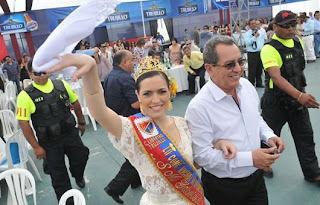 11:00 AM LIMA: CONFERENCIA DE PRENSA- PRESENTACION DE LA REINA DEL CONCURSO NACIONAL DE MARINERA. 09:00 PM LIMA: CENA DE PRESENTACION DE LA REINA DEL CONCURSO NACIONAL DE MARINERA. ACTUACION DE LOS CAMPEONES NACIONALES 2012. 10:00 PM CLUB LIBERTAD- BAILE DE CORONACION DE LA REINA DEL CONCURSO NACIONAL DE MARINERA. 10:30 AM I CONVENCION MUNDIAL DE FILIALES DEL CLUB LIBERTAD DE TRUJILLO..
10:00 PM CLUB LIBERTAD - FOLKLORE - PEÑA CRIOLLA. 10:30 AM ASILO DE ANCIANOS: PRESENTACION DE LAS REINAS Y CAMPEONES DE MARINERA. 04:00 PM COLISEO GRAN CHIMU - SEMI FINAL: PRE-INFANTES, INFANTIL, JUVENIL, Y SENIOR. 10:00 PM CLUB LIBERTAD - FOLKLORE - PEÑA CRIOLLA – NOCHE DE REINAS. 09:00 AM XVI CONGRESO NACIONAL DE MARINERA Y XIV CONGRESO INTERNACIONAL DE FOLKLORE. 09:00 AM XVII CONCURSO DE CABALLOS PERUANOS DE PASO -MARINERA 2013 – JORGE JUAN PINILLOS COX - ORGANIZA ASOCIACION DE CRIADORES Y PROPIETARIOS DE CABALLOS DE PASO DE TRUJILLLO. COCKTAIL OFRECIDO POR EL CLUB LIBERTAD A LOS EMBAJADORES Y VISITANTES ILUSTRES. 11:00 PM CLUB LIBERTAD – “BAILE DE PEROL” (TRAJE TRADICIONAL ó ROPA BLANCA OBLIGATORIA). 09:00 AM CLAUSURA Y ENTREGA DE PREMIOS DEL XVII CONCURSO DE CABALLOS PERUANOS DE PASO -MARINERA 2013 – JORGE JUAN PINILLOS COX. 05:00 PM COLISEO GRAN CHIMU - XVI CONCURSO NACIONAL DE COREOGRAFIAS DE MARINERA: PARTICIPAN ACADEMIAS DE MARINERA Y GRUPOS DE DANZAS FOLKLORICAS. 10:00 AM COLISEO GRAN CHIMU- GRAN FINAL: CATEGORIAS PRE-INFANTES, INFANTES, INFANTILES, JUNIOR, SENIORS, MASTER, JUVENIL, ADULTOS. -MEJOR PAREJA CAMPEONA DEL 2013. FIN DEL CONCURSO CON LOS NUEVOS CAMPEONES DEL CONCURSO NACIONAL DE MARINERA DEL 2013.